Welcome back to Good Points, a weekly Q&A about credit card points, the people who collect them, and where they take us. 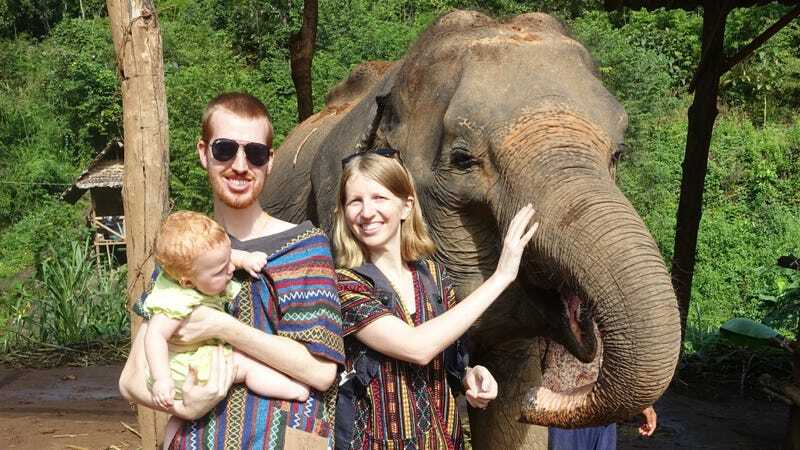 This week’s guests are Joe and Ali Olson, who early retired in 2015 to travel the world full time. We had been seeing passing mentions about travel hacking for years online, but it sounded like too much effort. Then, in 2014, we went to a financial weekend retreat called Camp Mustache (based around the Mr. Money Mustache blog), and we attended a travel hacking breakout session that blew our minds. We immediately dove into the blogs, podcasts, etc. and within four months we’d signed up for 23 new credit cards* between the two of us. It was a frantic rush and lots of fun, and it netted us over a million points. We were getting ready to start traveling full-time less than a year later, so we wanted to hit the ground running. It’s saved us so much money over the past few years. *Our credit scores were in the 760s range, and dipped for a couple months, then went up to the 780s range after about six months. They’re now 800+. Don’t let fear of hurting your credit stop you from travel hacking, if done right it can help! We were about to quit our jobs to travel, so we basically just wanted to collect as many points as we could to help with the costs of that, which ranged from big flights from the US to Europe and Australia, but also shorter flights between our families’ homes (Seattle and California). There are so many different kinds of points and strategies and airline partners that we’ve been able to use to save us money, no matter what our needs have been at the time. Having signed up for so many cards already, our options have narrowed. There are some cards we can “churn” (cancel and re-apply after a given amount of time to get the signup bonus again), but others that are one bonus per lifetime. That means our most recent cards have been co-branded airline or hotel cards (rather than generic points that work with nearly everything, like Chase or Amex). Our most recent additions were some Southwest cards so we could earn the companion pass, which has been hugely valuable. In December 2016, we stayed at a Hilton in Bali which was only 5,000 points a night. On top of that, Hilton was doing a promotion where if you booked through their app and paid with a Visa card, you got 5,000 points back. You needed to pay for something though, so we bought a candy bar for a dollar or two from their mini convenience store and charged it to our room. Oh, and you’d better believe we booked a night under Ali’s name, then a night under Joe’s, then under Ali’s, etc. So that each was a separate “stay” and eligible for the redemption. We just had to go down to charge something to the room each day. Five nights in Bali. Total cost: 0 points (technically temporarily 25,000 points, which we had to have available to book those nights, but then they were all refunded back) plus maybe $8 in snack food spending. Probably our first redemption, which was for a Lufthansa flight to Europe. We were so new to it, we didn’t realize the high fees that came with that flight. We did use Barclay’s Arrival Plus Cards to pay for those fees, but it wasn’t the best way to spend $300+ per person of those credit card bonuses. We realized quickly booking with airlines that don’t have those type of fees for certain routes can be a much more efficient use of those points. We’re all about the best deals. We couldn’t care less about status, really. We just want to get to as many places as we can with our points. Usually, the Sapphire Preferred is the best way to step into the points world. It’s easy to use the Ultimate Rewards portal to book travel while you learn how to transfer points to different airlines. For some people, though, signing up for a couple Southwest cards at the right time can get you a companion pass, which is the best deal in points for people who travel domestically a lot. Update 2/8: This offer ends on 2/11, so this weekend is your last chance to sign up! I wish someone had told me to go online, read a couple of articles, and start as soon as possible. You’re not going to be perfect, but as long as you have a little knowledge and are careful with money and credit cards, there are a lot of great bonuses out there and they don’t last forever. We have a spreadsheet for new card signups (with columns for annual fees, when we have to hit minimum spend amounts by, etc.) AwardWallet is great for tracking points you’ve already accumulated. Let’s finish off with a few rapid fire questions. I give you enough points to take three flights anywhere in the world in economy, or one flight anywhere in the world in first class. What do you choose? First class is a personal “someday” dream for Ali, but in general we can never pass up the economy flights that get us to more places. There’s too much to see and do to waste the points on a first class flight. At this point in our lives, at least. Also, we have kids now (born in Istanbul and Amsterdam) and that would make it hard to really get the first class experience. We both agree on Egypt and Iceland, and Ali picks Slovenia as her third spot while Joe says “South America”. Broad, I know, but we were planning on going to that area of the world when the whole Zika thing hit (at the same time we were working on starting a family), so I’m still disappointed we haven’t been yet. Really, there are so many places out there we want to go. Prague is one of the most beautiful cities we’ve ever been. Plus, they have TRDLOs, which are delicious sugar pastry things with ice cream that remind us how wonderful the world really is. And you’re a short train ride from a tiny town that includes a crazy bone church. So cool! Any airport with quick moving security, and a Priority Pass lounge. We stayed at a Sheraton in Port Douglas, Australia. They gave us a suite, and it had a bunch of pools and beach access. They even gave us hotel credits for not getting our room serviced (which we usually avoid anyways), so we got a few treats from the pool bar. It was incredibly relaxing. 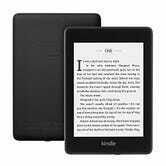 - Kindle Paperwhite. Hundreds of books available with so little space taken up? Yes, please! 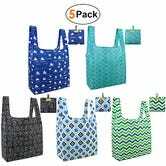 - Compressible, reusable grocery bags. Great to pull out to grocery shop somewhere, to create an “under seat” snack bag for the plane ride, etc. - Charles Schwab debit card. Use any ATM in the world, free (literally—they charge you no fees, and they refund you any fees the ATM owner charges). Such a boon for getting cash anywhere. When we were traveling ourselves, and even with just the one kid, we managed just a carry on backpack each (Osprey Porter 46 for Ali, Pacsafe Venturesafe 45L GII for Joe). We highly recommend this as a way to go for anyone traveling that can manage it. But eventually we added a second kid (and the first got old enough to need more than diapers and some onesies), and backpacks weren’t cutting it. Having to switch to luggage was a sad day, but we found a Kinja Deal on a pair of Amazon Basics brand luggage and have been pretty happy with them. Ali can’t sleep on a plane even if she hasn’t slept in days. Joe can sleep before takeoff. Joe usually takes the window (to sleep against the side of the plane) and Ali goes for the aisle. Anything else you want to add related to points? Make sure you check out the other perks when you sign up for cards. Global Entry reimbursement (which comes with the amazing TSA Precheck) and lounge access are not to be overlooked!